We found a way to put your kid’s face on a bag of potato chips — for free. Through Lay’s One Million Summer Moments promotion, you can get a bag of Lay’s potato chips customized with your favorite Instagram photo. Whether it’s a photo of you, your pet or your entire extended family, you can totally be on a bag of chips. Yes, this is silly… but it’s also sort of awesome. And it’s summer, so just roll with it. Enter the two promo codes. 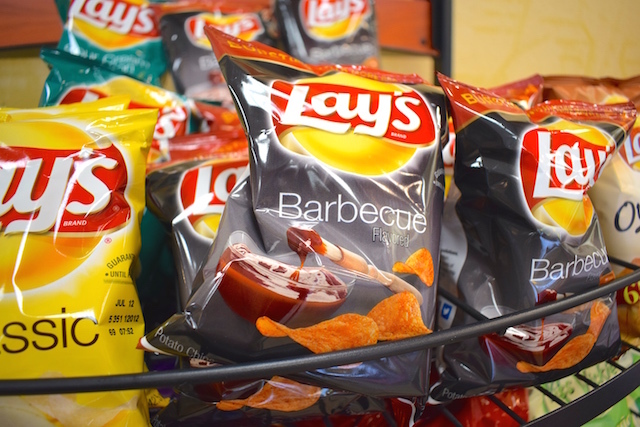 If you’re a Lay’s fan already, you may have seen these on specially marked bags of chips. If you don’t have your own, enter LAYS and SUMMER. Authorize the connection to your Instagram account, select the photo you want on the bag and even add a caption if you want. I chose a glowing photo of my niece in the tutu she wore for her first dance recital that’ll make my dad swoon! Choose your flavor: Original, BBQ or Sour Cream and Onion. Once your order is approved, you should receive your bag in the mail. The details don’t specify a size, but in past years it’s been a full size bag of chips! We expect it to be enough to accompany your lunch, at least. Keep collecting codes, and you can also enter Lay’s sweepstakes to win paddleboards, grills, beach towels and other summer-fun fare. Your Turn: What image will you put on your free bag of potato chips?